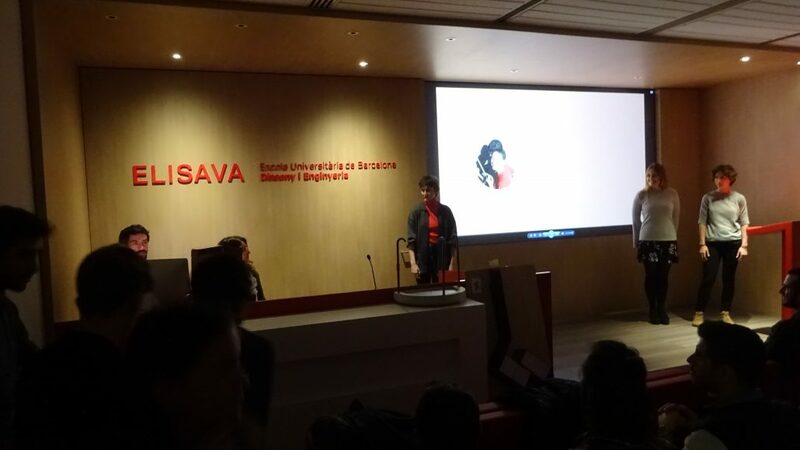 Last Thursday 14 December, we attended the presentation of final projects of ELISAVA University School of Design and Engineering of Barcelona, with which we have worked throughout the whole of the first term of 2017-2018. Over three months, students had to design a tap or beer column and create a prototype based on the briefing presented by Aplimet. 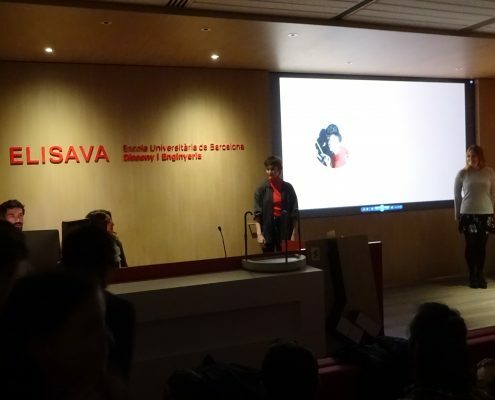 On December 14, the students of the subject Projects II of the Degree in Engineering of Industrial Design of ELISAVA presented their final works in the school’s assembly hall. This subject deals with fundamental aspects of the product development process and works on real projects proposed from the professional field. 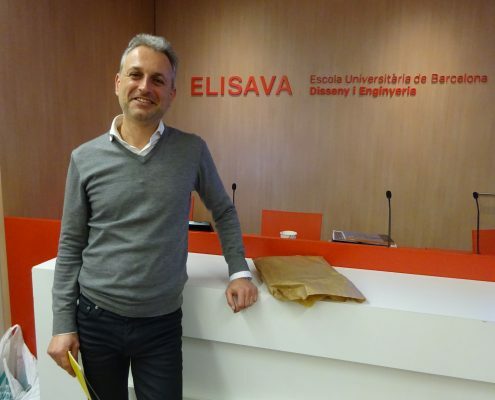 This is where Aplimet came into play, thanks to the agreement with ELISAVA over this collaboration in which students have based their projects on the design and development of a beer tap. Before explaining how the event went, let’s reflect one moment on how the process was developed: in the first phase of the project we met with the students to introduce ourselves, to get to know them and to share the needs that the project had to solve; from here and in pairs, the students developed the first ideas; half-way through the term, we met again to see how things were going on. 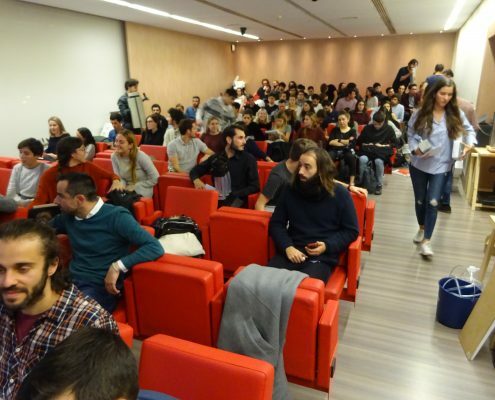 Then came the presentation of the 40 final projects, at which the entire Aplimet team was present and where we saw some amazing results for the high innovation, ingenuity and creativity that came from all the works. The students were able to synthesize the essence of their work in two-minute presentations in English, many supported by videos and animations. The use of prototypes was of great help in understanding the works. After each of the presentations, the audience applauded the shared projects. 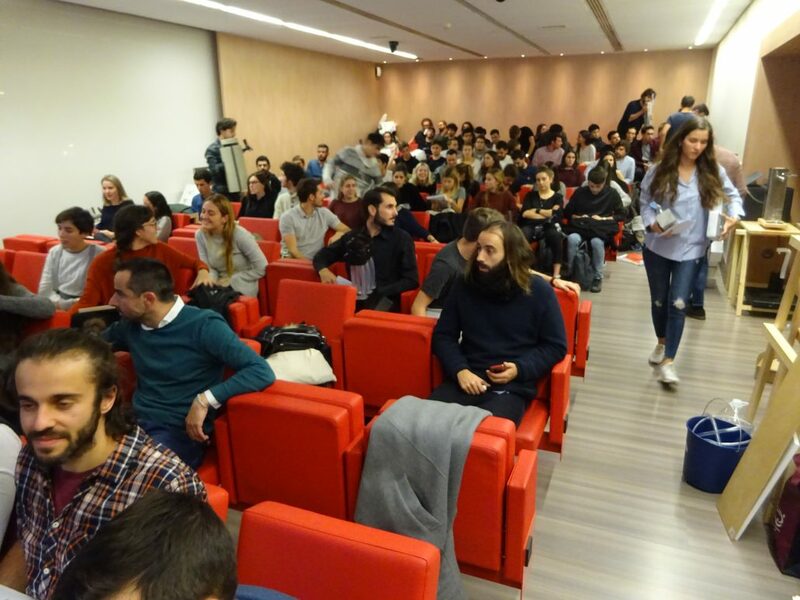 In the conversations that we had with the students, some of them said that the experience of the presentations had been very enriching (something we also think in Aplimet). 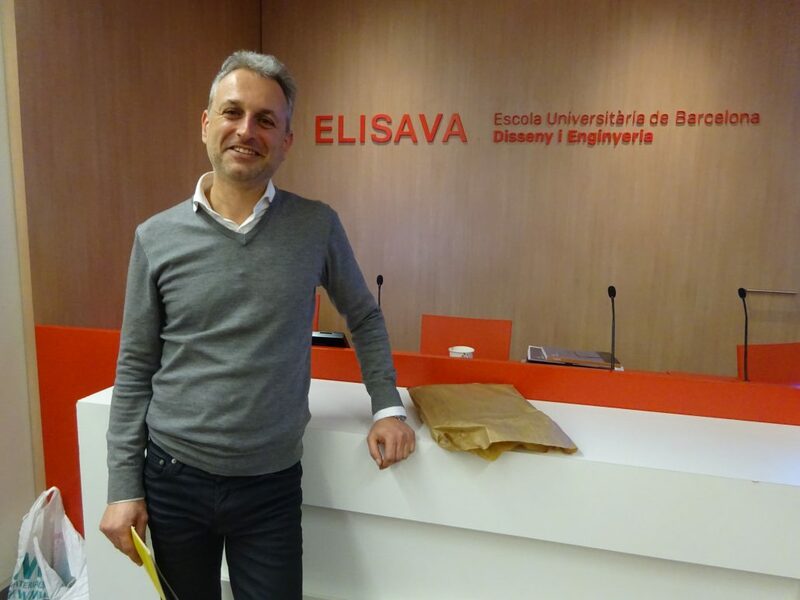 It had been the first time they had been able to develop a project in collaboration with a company within a core subject; this kind of agreement, until now, had only been carried out by some students depending on the free choice subjects. Another of the positive things that some of the students mentioned was regarding the briefing, which they considered a good starting point with considerable flexibility. At the end of the event, the teachers showed great satisfaction at the work done by the students, of whom they are very proud. The next phase now lies with Aplimet. Each of the proposals now has to be carefully studied to select one to be seen through. The winning project will receive an economic award and the rest will be returned in full to their owners. We are aware of the arduous task that the choice will entail, given the high level of all the works. Finally, we would like to congratulate the ELISAVA teachers for their good coordination and ability to motivate the students, who we thank for the interest shown and the professionalism of the projects. We hope to continue with projects of this kind, since we believe that professional training centres and companies must move hand in hand. Today’s students will be tomorrow’s professionals.